A competitive global economy coupled with shift in geopolitical trends in the US and Europe have led international students to be in search for alternatives, particularly for those in the Muslim countries. While Brexit, recent developments and travel bans in the US have affected students in the Muslim regions, it created opportunity for Malaysia to offer places to this group of individuals. 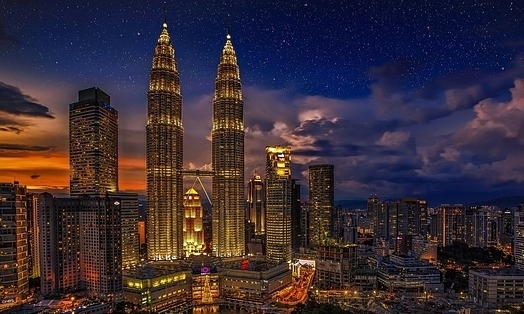 Malaysia is increasingly becoming a popular study destination because English is widely spoken, inexpensive accommodation and unique experience. In 2015, the country has increased its target of hosting international students to 250,000 by 2025. By the end of 2016, the nation has already attained a total of 172,886 international students. In addition, cultural similarities means Asia is the big market for Malaysia’s higher education. The railway serves as the centerpiece of Widodo's campaign promise to invest $450 billion or so in infrastructure development over five years through 2019. Due to the conservative nature of Asia, many parents have concerns about the liberal culture of the West. Hence, many see Malaysia as a great alternative undergraduate destination for their children who may then move on to postgraduate degrees in the West. Further, impression, brand perception and ranking are highly regarded in Asian countries due to the immense amount of options these students are furnished with. Malaysia’s lower fees and living costs is another reason for the thriving transnational education. Even though a western degree has a greater prominence in Malaysia where many of its elites have received education, the devaluation of the ringgit over the last years has made it difficult for many to pursue an overseas education. Foreign universities mostly from the UK and Australia now conduct campuses in Malaysia. Thereby allowing cost conscious students to receive the same degree certificate while paying lesser fees. Private universities, including branch campuses, are now also exempted from the five percent cap on international students at the undergraduate level, similar to that of the public universities. Funding cuts have also made it mandatory for public universities to seek for alternative sources of incomes. However, to attract international students, universities will have to demonstrate that their qualifications are portable, and of quality. Malaysian universities also act as a place for students to prepare. Pathway agreements have been active in Malaysia, and ELS Malaysia is one such example. It provides pathways for around 20 private universities, with the first opening in 2005. This is part of the nation’s initiative to have English competent students and graduates contribute to the globalised job market; and Malaysian students are well aware that proficient English is the key to enrolling in a foreign university. The international school sector has been thriving, and the government has been the driving force behind it. The government has removed limits on foreign ownership, introduced tax incentives and remove enrolment caps on local students. As a result, schools’ enrollment rate surged from below one percent in 2002 to 15 percent in 2013. In addition, there were a total of 71,589 students enrolled in 170 English-medium international schools as of the start of 2017, according to ISC Research data. However, at the same time, the Education Ministry is making calculated moves on which schools it allows to operate. The ministry wants more foreign investment in schools outside of the already highly-populated Greater Kuala Lumpur and Klang Valley areas. If Malaysia wants to achieve its objective of becoming an education hub for international education, it will have to address the challenge of providing practical work experience. At present, internships are difficult to secure unless a student’s course of study requires one. Moreover, part-time work is not allowed during term time and restricted to 20 hours per week during holidays and semester breaks.